The successful launch Friday also debuted a new multi-payload carrying capability for the Epsilon rocket, a light-class, solid-fueled launcher developed in partnership between the Japan Aerospace Exploration Agency — JAXA — and prime contractor IHI Aerospace. 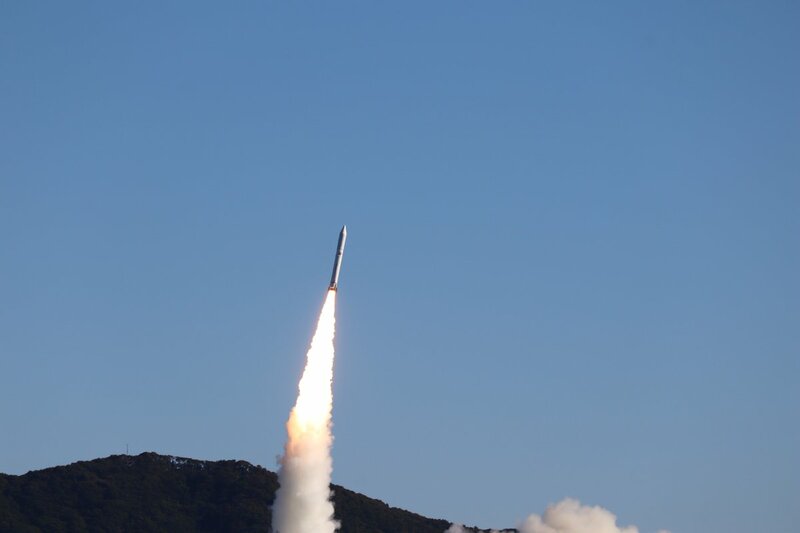 The 85-foot-tall (26-meter) Epsilon rocket lifted off from the Uchinoura Space Center, located in Kagoshima prefecture on the island of Kyushu in southwestern Japan, at 0050:20 GMT Friday (9:50:20 a.m. Japan Standard Time; 7:50:20 p.m. EST Thursday). Generating a half-million pounds of thrust, the Epsilon’s first stage propelled the rocket on an initial course southeast from Uchinoura, powering the launcher into a clear morning sky over the Pacific Ocean on a trajectory to steer clear of islands downrange. The first stage consumed its pre-packed propellant less than two minutes after liftoff, then jettisoned soon after, giving way to solid-fueled second and third stage motors as the Epsilon turned toward the south. A fourth stage, called the Post Boost Stage, ignited with hydrazine-fueled thrusters two times to place the mission’s satellite payloads into a targeted orbit around 310 miles (500 kilometers) above Earth at an inclination of around 97.2 degrees to the equator. The upper stage released the largest of the seven satellites, named RAPIS 1, around 52 minutes after liftoff. Built by Japanese startup Axelspace for JAXA, the roughly 440-pound (200-kilogram) RAPIS 1 spacecraft will test the performance of a new thin membrane solar panel design, a “green” propulsion system using non-toxic fuel, a high-speed X-band communications system, a low-cost, miniaturized terminal to receive signals from navigation satellites, and a camera suite for Earth observation and to monitor deployment of the solar array, among other prototype technologies. RAPIS 1 is short for Rapid Innovative payload demonstration Satellite 1, and the satellite also carries a new type of miniature star tracker, and a space radiation monitor experiment. RAPIS 1’s mission is scheduled to last at least two years. After deployment of RAPIS 1, the rocket’s upper stage thrusters were programmed to reignite briefly between each satellite’s separation time, ensuring each spacecraft would not collide with one another. The ALE 1 microsatellite, designed to generate a sky spectacle by releasing a shower of tiny particles to re-enter Earth’s atmosphere, was the last of the seven payloads to separate from the rocket around an hour and 10 minutes after liftoff. “For the first satellite and the last satellite, we will try to adjust to the orbit they want,” said Kyoko Oribe, an engineer at IHI Aerospace, who presented details of the rideshare mission at the International Astronautical Congress last October in Germany. The satellite deployments occurred according to plan, JAXA said in a statement. “All seven satellites separated from the launch vehicle successfully,” the space agency said. 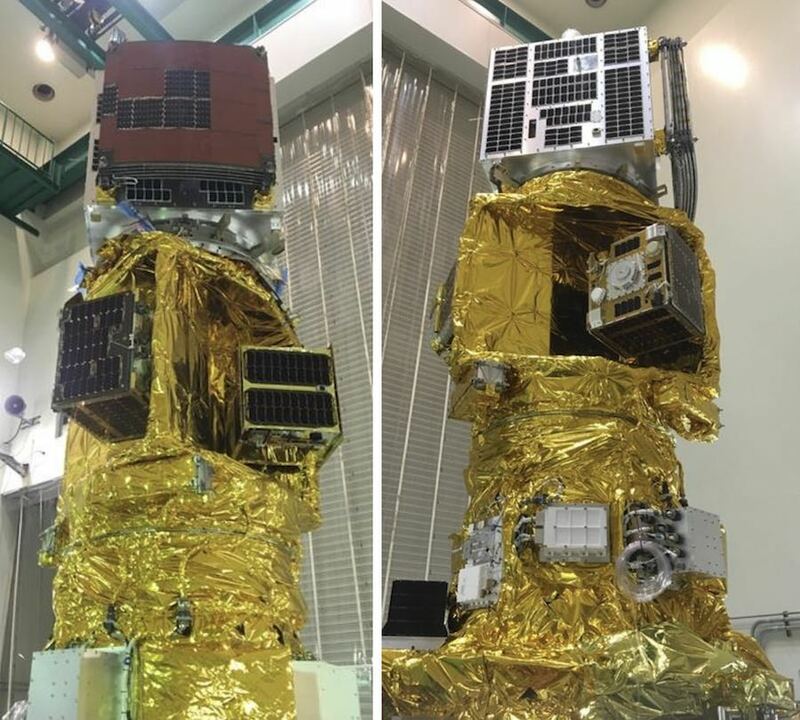 ALE 1 is the first of two satellites launching this year developed by Astro Live Experiences, a privately-funded Japanese venture that aims to create artificial “meteor showers” by releasing half-inch (1-centimeter) pellets to re-enter the atmosphere. By early 2020, the 150-pound (68-kilogram) ALE 1 satellite will use a drag-inducing mechanism to maneuver to an orbit low enough to ensure the particles safely re-enter the atmosphere, and don’t become space junk. The company plans to create the artificial multi-color meteor shower over parts of Japan next year. “I hope that our man-made meteors will help reveal new discoveries in science, and that it will gather and entertain people under the night sky,” said Lena Okajima, ALE’s chief executive. ALE is building a second satellite for launch later this year. Other satellites launched aboard Japan’s Epsilon rocket include MicroDragon, a satellite built by Vietnamese engineers studying in Japan. The 111-pound (50.5-kilogram) spacecraft will be operated by the Vietnam National Space Center, part of Vietnam’s national space agency, and will monitor the world’s oceans to examine fishing grounds and search for disasters such as oil spills. MicroDragon will also measure aerosols, microscopic particles suspended in Earth’s atmosphere. Vietnamese teams working in collaboration with Japanese universities assembled and tested the MicroDragon satellite in preparation for the launch. 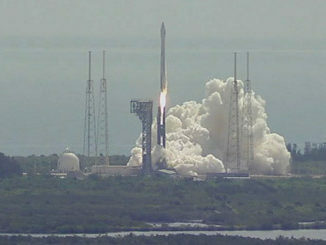 The 130-pound (59-kilogram) RISESAT spacecraft was also launched. RISESAT stands for the Rapid International Scientific Experiment Satellite, and the project is led by Tohoku University in Japan. RISESAT carries a color Earth observation camera, and experiments to investigate new attitude control and laser communications technologies. The satellite’s payloads come from institutions in Japan, Taiwan and the Czech Republic. Three CubeSats were also on the launch, all weighing 9 pounds (4.1 kilograms) or less. One of the CubeSats, named OrigamiSat and developed at the Tokyo Institute of Technology, will unfurl an experimental membrane structure with embedded solar cells and and a UHF antenna to test lightweight systems that could be used on future smallsat missions. Another CubeSat, named Aoba VELOX-IV, is from the Kyushu Institute of Technology in Japan. It will demonstrate an attitude control and orbital control system, and a low-light camera, for lunar observations. Nihon University’s NEXUS CubeSat will test next-generation amateur satellite communications technology. Friday’s flight marked the fourth launch of Japan’s Epsilon rocket since 2013, and the first Epsilon mission to deliver multiple satellites to orbit. JAXA and IHI Aerospace designed and built a multi-satellite carrying structure to accommodate the small payloads inside the rocket’s nose cone, along with electrical systems to power the satellite separation mechanisms. The Epsilon rocket can haul around 1,000 pounds (450 kilograms) to a circular 310-mile-high (500-kilometer) sun-synchronous orbit, a destination favored by many smallsat operators for Earth observation. Oribe said IHI Aerospace wants to make the Epsilon rocket a competitive launch option for small commercial satellites. 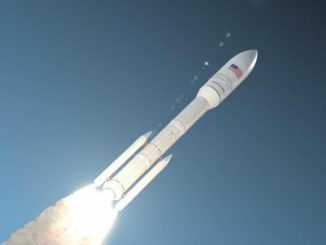 JAXA and IHI Aerospace aim to reduce Epsilon launch costs from around $50 million to less than $30 million in the coming years, as Japan prepares to replace the larger H-2A rocket with a new, less expensive launch vehicle named the H3. The Epsilon and H-2A rockets rely on the same solid rocket motor technology. The Epsilon’s first stage uses the same booster that flies on the H-2A rocket as a strap-on motor, creating manufacturing efficiencies intended to reduce launch costs. 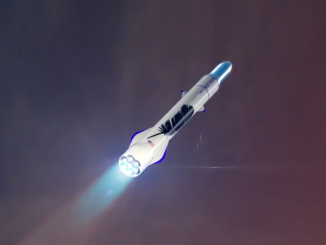 The H3 rocket is set to debut in 2020, using a new solid rocket booster design that is easier to build and assemble, enabling further cost reductions, Oribe said. “Looking toward the 2020s, JAXA started development of the H3 launch vehicle,” she said. “We engaged in the development of a new solid rocket booster for H3, and it will definitely be applied to our future launch vehicle as the first stage. Through this development, we will improve our competitiveness, and we are aiming to enter into commercial launch services.